Do you find yourself browsing the aisles of your local hardware store every time it gets drafty? If you’re one of thousands of homeowners who rely on plastic wrapping your windows to keep the cold and wind at bay, then you already know that it’s not fun. For over 30 years, Murphy Home Improvement has been the Cincinnati area’s premier source for home improvement and remodeling, offering everything from window installation to doors, gutters, siding, and much more. No matter which remodeling project you’re craving, these experts are the ones for the job. Follow their advice and you’ll never have to plastic wrap your windows again. Although plastic wrap is a money-saving solution for drafty windows, it very rarely stays intact. Eventually, the time and costs of replacing plastic wrap add up to more than replacing the windows themselves! So, what do home improvement experts recommend? Rather than a temporary solution, turn to a permanent one with modern technology that makes remodeling convenient, easy, and affordable for every homeowner. 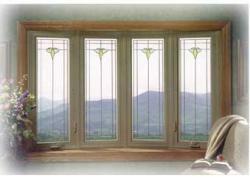 Replacing old windows with newer ones is easier than you think. Windows today do a much better job of keeping out the cold and eliminating heat loss, ensuring that residents are always comfortable. They’re built to last for decades, creating significant value for potential buyers. With new windows, you won’t have to worry about the hassles of plastic wrap every time it gets drafty. You can make new home improvement touches to complement them as well—open the shades whenever you like, add curtains, lay down a throw, and keep cozy sitting nearby with a book—even in the coldest of weather. Whether you’re experiencing drafty windows or are considering another home improvement project, turn to the expert professionals at Cincinnati’s Murphy Home Improvement. No matter how big or how small, they’ll get the job done right. Visit their website for more information, or call (513) 922-8989 to set up your appointment today!